The SmartPROTO Board offers an effective and low-cost solution for connecting your prototype device to a PCB prototype board. It is connected to a development system or prototype device via an IDC10 connector. 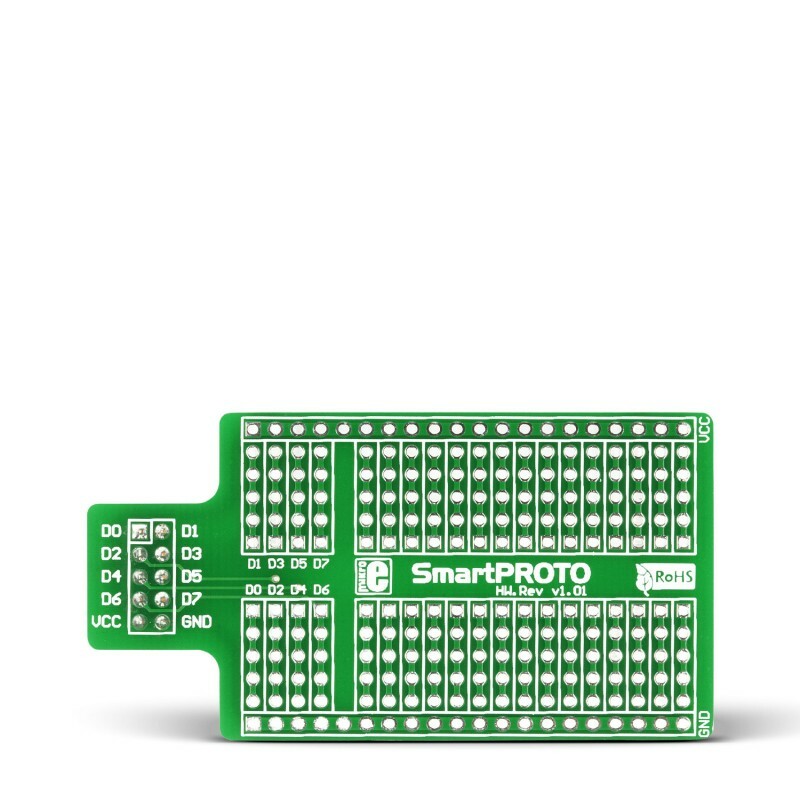 SmartPROTO board features female IDC10 connector and two prototyping areas which enable you place your own components and assemble an accessory board which can be connected with mikroElektronika development boards. First prototyping area features 8 lines with 5 prototyping pads, each of which is connected to one IDC10 pin. The other prototyping area is consisted of 15 double lines each with 5 pads. Additional power lines are provided too.